Chai! Some guys are just monitoring spirit, most especially when you have jilted them online. The question is how did these pictures surface online? How was the guy able to follow her to a place like this? 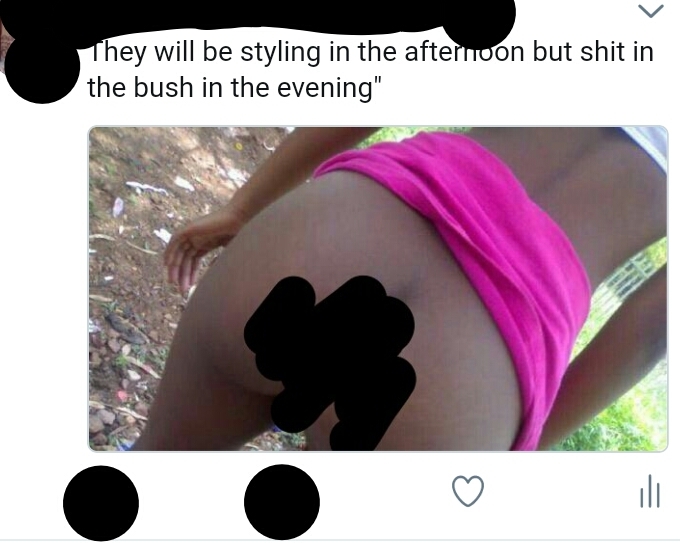 "They will be styling in the afternoon but poo in the bush in the evening"